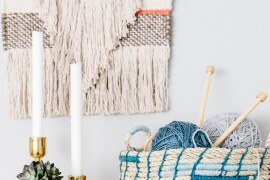 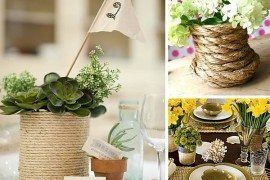 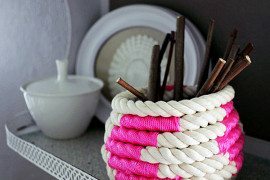 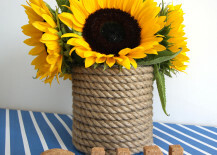 I recently went hunting for some nautical vases for my upcoming wedding, and found a rope-wrapped design that fit the bill perfectly–that is, until I saw the pricetag. 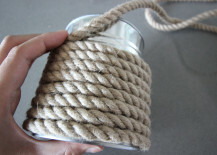 Eager to see if I could replicate the costly containers, I set to work wrapping some recycled food cans with inexpensive jute rope, and the result was everything I wanted for just a fraction of the cost of purchasing them. 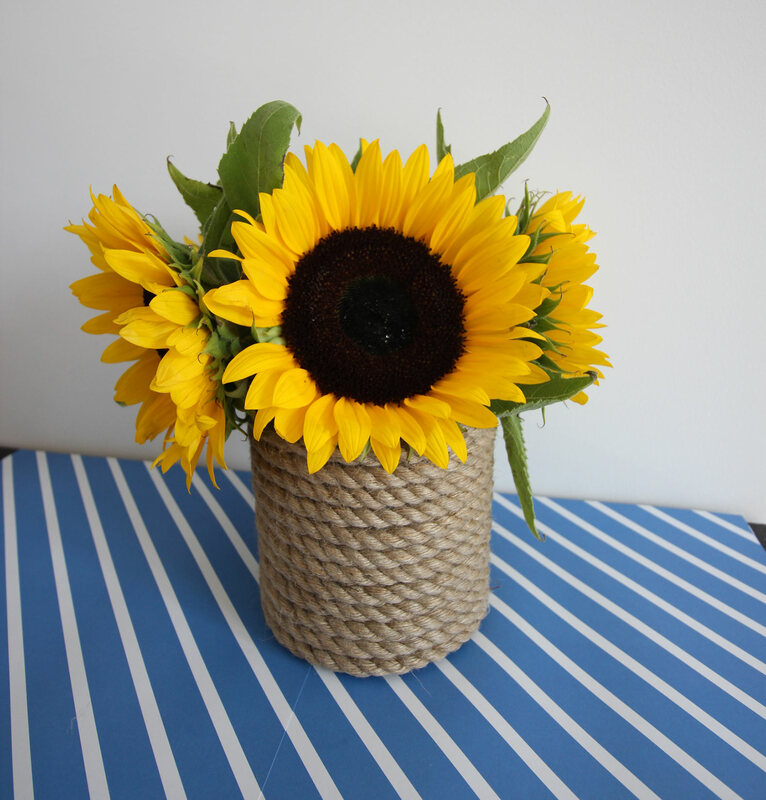 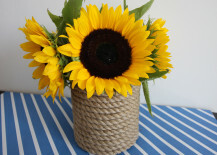 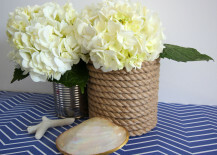 Read on for the DIY instructions and learn how to make these for your waterfront cottage, maritime-themed event, or any other space that could benefit from a beachy vibe. 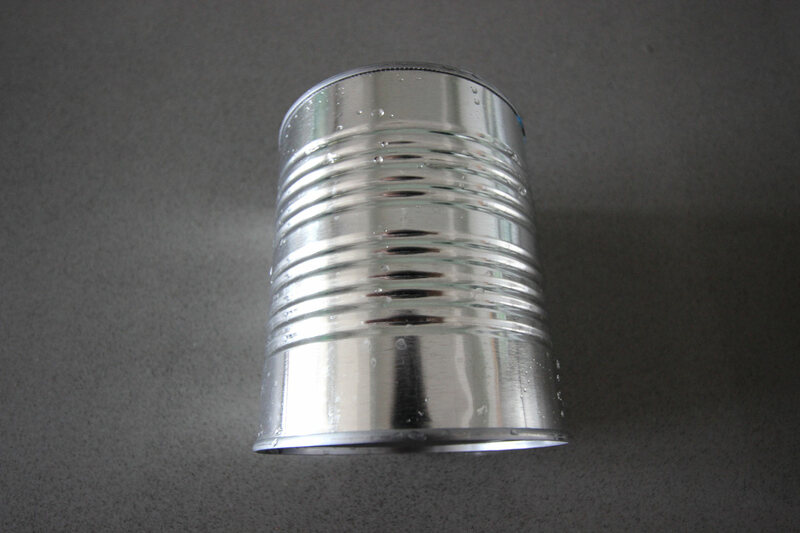 Step 1: Wash and dry your empty metal can and remove the label. 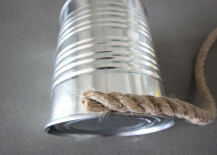 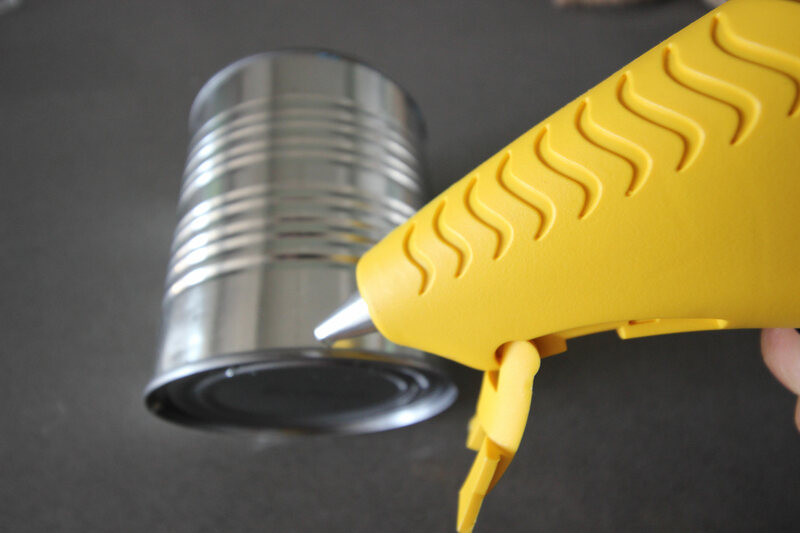 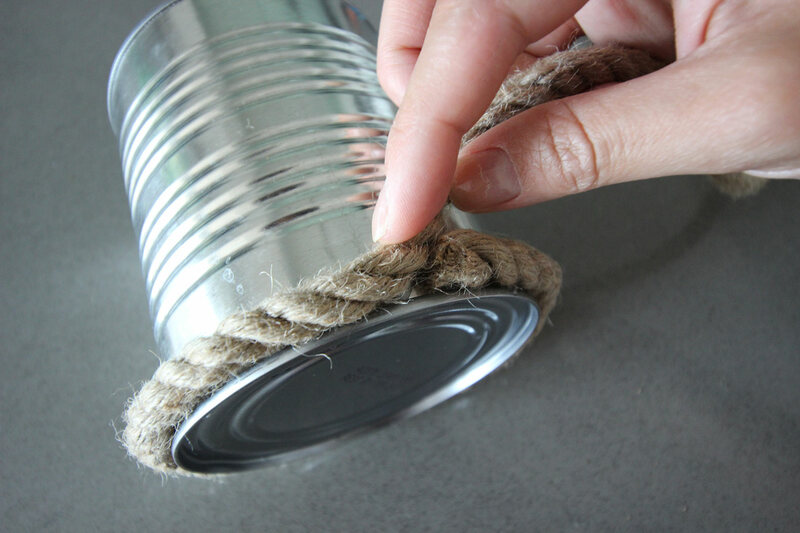 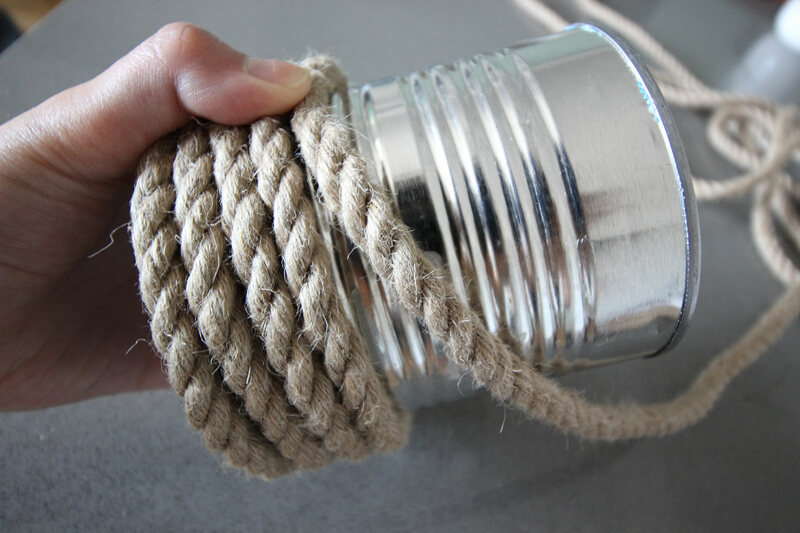 Step 2: Test out your rope by wrapping it around your can once without glue to make sure it is definitely long enough to cover your can. 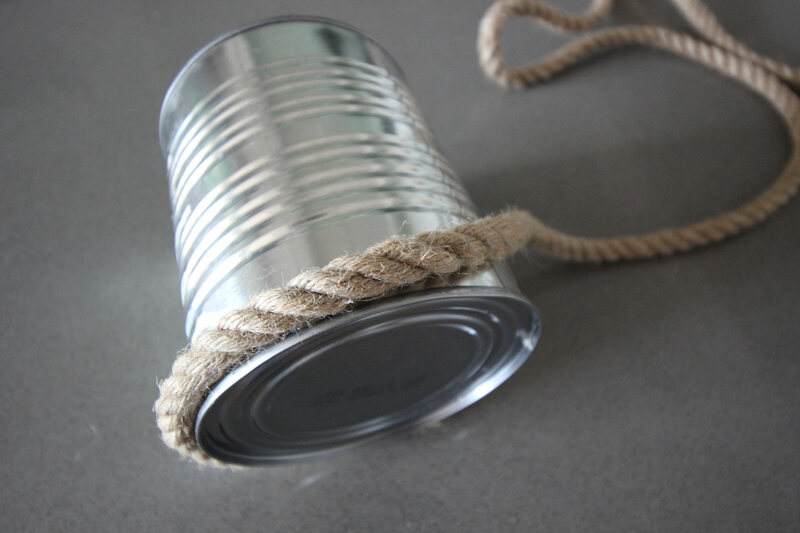 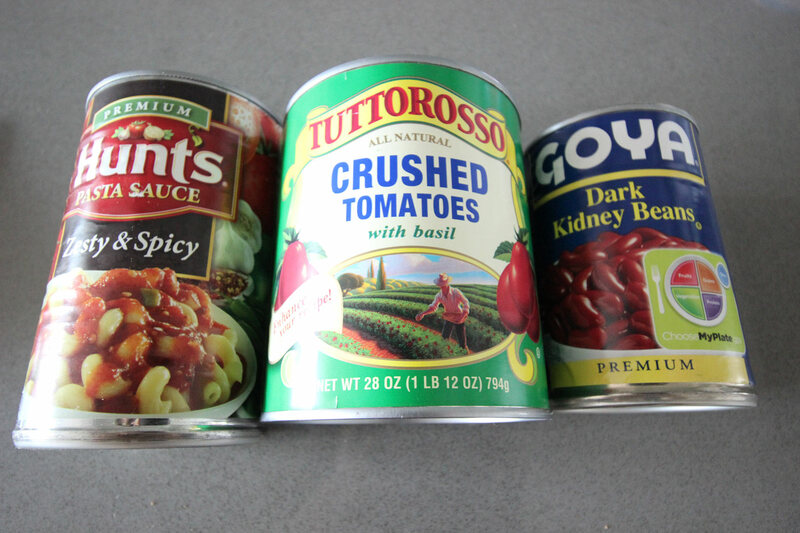 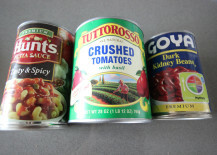 I used 13.5′ of .2″ rope to cover a wide tomato puree can. 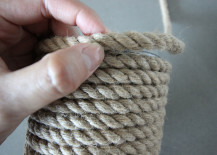 Step 3: Starting at the bottom of your can, lay a small bead of glue and attach the end of your rope. 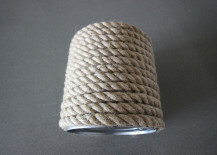 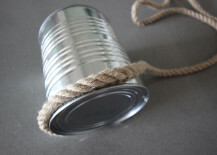 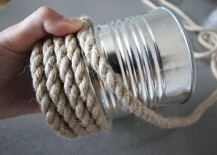 Step 4: Then wrap the rope around the can halfway and put down another bead of glue and use it to attach your rope. 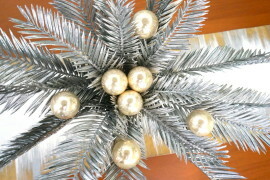 Continue wrapping. 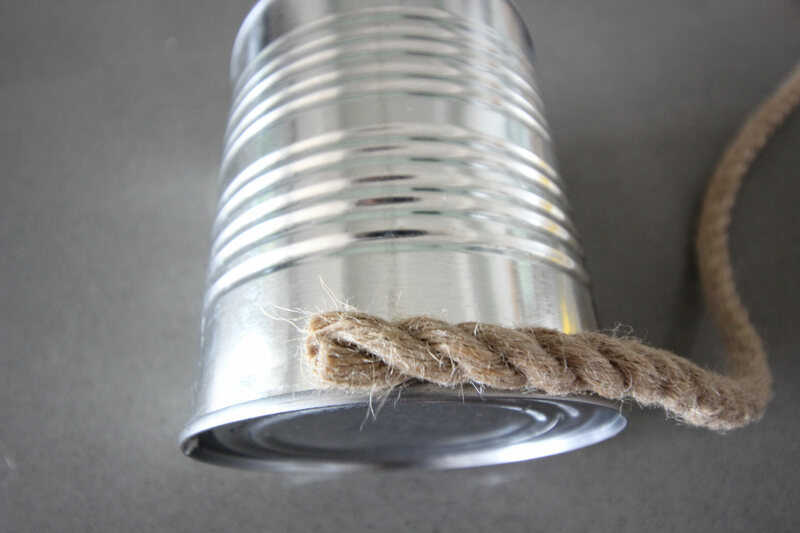 Step 5: When you make one full loop around the can, you’ll have to do a little finagling to start the next “row.” just allow the rope to stack on top of your first row naturally and continue to glue and wrap. 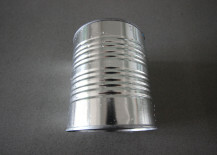 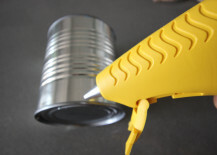 Step 6: Keep going until you reach the very top of your can and cut the excess rope before securing it in place with glue. 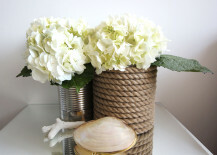 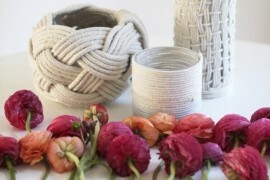 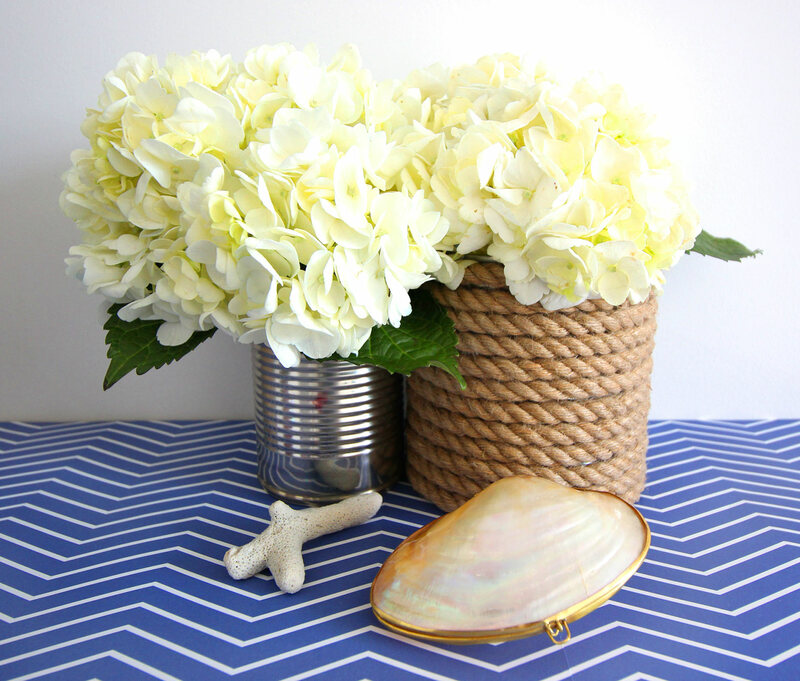 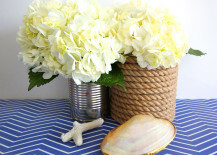 Fill your new rope-adorned vase with fresh hydrangeas for an easy, beachy look. 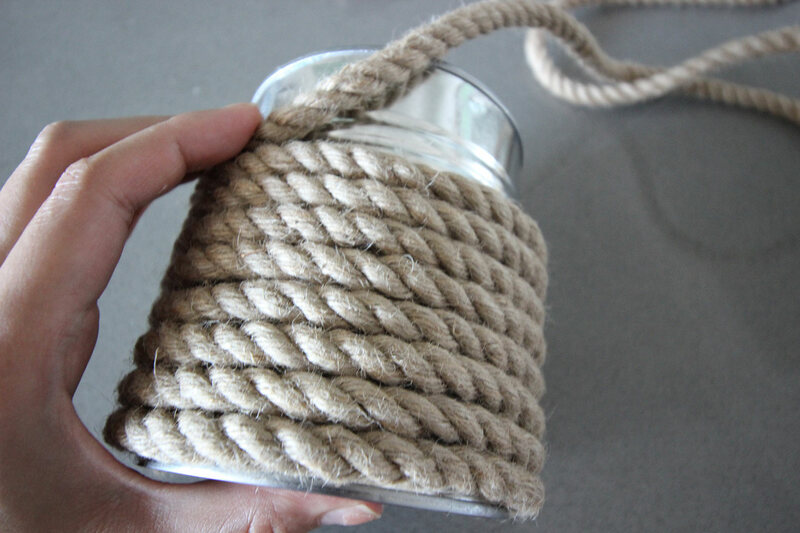 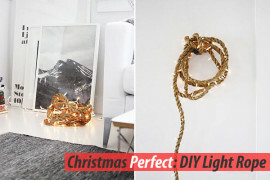 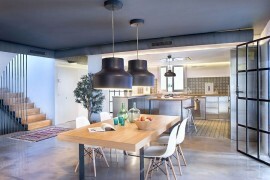 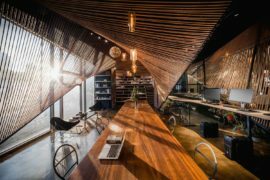 You can display these in batches or even pair them with unfinished metal cans for a rustic vibe.